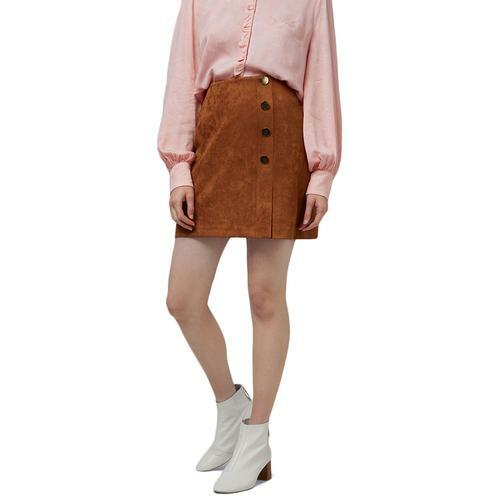 Lee Retro Mod Sixties button through denim skirt. Fusing Sixties and Seventies influences with a contemporary Indie vibe. This fabulous denim skirt features a button through fastening. 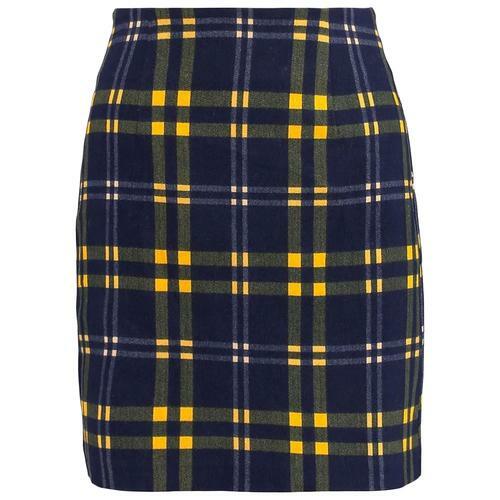 Perfectly on trend - this mini skirt is in a clean and crisp blue rinse tone. Keeping iconic traits from Lee's jeans with contrast stitching, rivets and pocket detailing. A truly timeless piece which will add a touch of Vintage chic to your wardrobe! 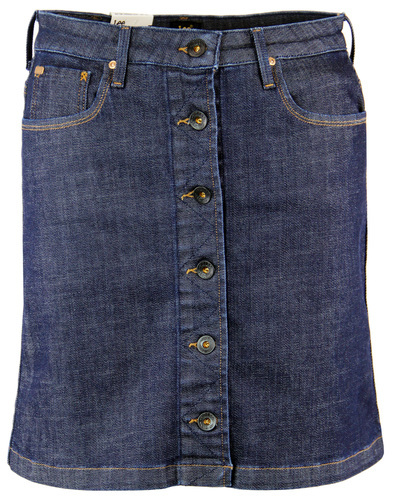 Lee Retro Mod Sixties button through denim skirt in blue. In a lovely blue rinse tone. Contrast stitching. 5 pocket detailing with Lee woven tab to back pocket. Button through fastening. Bronze metallic rivets. Iconic Lee Lazy 'S' stitching to back pockets. Lee branded leather tab to back. Classic belt loops. Approx length: 17.5 inches. 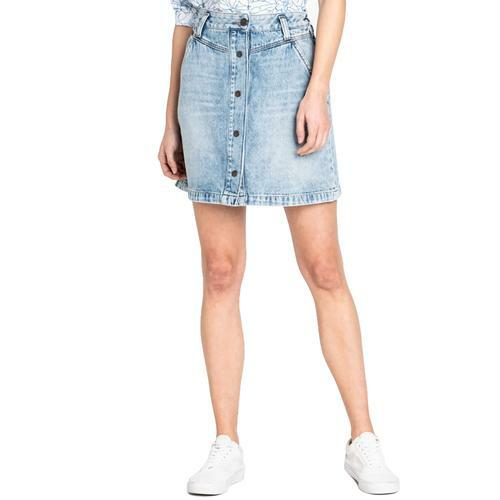 Key Points: Lee Womens denim skirt with button through fastening. Contrast stitching. Composition: 94% Cotton, 5% Polyester and 1% Elastane. Approx Skirt Length: 17.5 inches.